Last Sunday afternoon, after having willingly spent the weekend in complete solitude reading, I set off on a guidebook writing assignment to the Mies Van der Rohe House which is in the former East Berlin district of Weissensee. As I walked down my street, feeling rather lonely and despondent on this cold, grey February day, the first thing I noticed was that yet another building on my street had been recently renovated to its core. A large sign was advertising swank new apartments for sale. A not unfamiliar surge of fear welled up within me. How much longer am I going to be able to afford to live in this gentrified neighbourhood on my relatively meager freelance income? I wondered to myself. As I rode the tram through the greyer, drabber areas of East Berlin, ever further away from the neighbourhood I call home, the fear of having to move out here made me feel even more lonely. If I had to leave my current environment that I am so comfortable in, would it affect my work and my well-being? Very likely, I concluded. I very definitely thrive in my crazy, colourful, centrally located bohemian flat, and I really could not see myself living in a highrise flat in Weissensee. Am I being a snob? I don’t think so. I am already living in a foreign country which brings hardships and homesickness enough with it, but I am at least still in the neighbourhood that my mother and sisters lived in from 1990-2001 which has subsequently become my home away from home. This is very comforting. When I finally arrived at the Van der Rohe House and entered the front door, my spirits lifted instantly. Suddenly, I was in a motivated and inspired work mode again. The atmosphere of the house was an excellent environment for research, reading and contemplation. I sat at the one table in the gallery and started reading about Van der Rohe’s philosophy on architecture. This simple L-shaped house on the shore of the Obersee was Van der Rohe’s last project in Germany before he reluctantly emigrated to the United States in 1937. He was the last director of the Bauhaus school which the Nazis deemed as ‘ungerman’ and it was forced to close down in 1933. His quest was one of simplicity and truth in architecture. Indeed, the house demonstrates his genius in using a minimum of materials to produce maximum quality in order to satisfy the needs of modern living. His intention was the eradication of the superficial and unnecessary in architecture. Sound choice of materials and structure, rather than the superficial application of a classical façade were ideas that shaped his philosophy. The house was built in 1932 for Karl and Martha Lemke who owned a graphic arts firm and printing company. After much protest from the neighbours, who did not like the design, the simple, one-storied, flat-roofed building with its brick facade was constructed. It has huge plate glass windows that overlook a terrace and a well-landscaped lawn and garden. The terrace is at exactly the same level as the indoor rooms and so appears to be an extension of the house itself. This is very deliberate, as Van der Rohe strove to harmonise nature and architecture. The terrace and the garden serve as a wonderful extension of and transition between the house, lake and the park beyond the garden’s boundaries. The Lemke’s lived in the house until the Red Army forced them to vacate it in 1945. The Red Army and, subsequently the Stasi, all thumbed their noses at any notion that the building was aesthetically pleasing or should be respected. Between 1945 and 1977 it was used as a garage, storage room, canteen and laundry room and it fell quite into disrepair. Eventually in 1977 it was listed as an historic building and between 2000 and 2002 it was finally renovated and refurbished to its former beauty. It is now empty of furniture and used to display works of modern art. The works which are exhibited in the house must match Mies Van der Rohe’s dictum of ‘less is more’ and must also strive to express truth, beauty, serenity and harmony of nature, architecture and art. One of the artists who has exhibited her work in the house, is an American woman from Kansas named Max Cole. As soon as I started reading about her I was amazed at the coincidences that were made apparent to me. She says that her artwork is very influenced by her environment. The flat and vast horizons of the Kansas plains lead to the horizontal bands and stripes in her artwork. She says that a simple dash or a stripe can signify the individual in his or her world. I again thought about how my environment affects my work and my writing, and I thought of my loneliness and solitude in the world. Writing is a lonely pursuit in many ways, but it is also one that has saved me after a decadent decade of alcohol and parties in Berlin. In my writing, I also search for truth, beauty, serenity and a way of connecting to the world. Is this not the goal of any art form, be it music, art, writing, poetry or architecture? These all provide a medium for connecting and expressing truth and beauty to our fellow human beings. The buildings we live and work in, and the nature we roam and grow up in clearly all have a profound effect on our well-being and our work. I have only begun to realize as I mature, how the building that houses an artwork is as important as the artwork itself. Both must be in harmony, that is clear. I have come to hold art curators in high regard for their all-encompassing vision when planning an exhibition. I have recently been reading a lot about and by the American author and social critic David Foster Wallace. As well as being a brilliant writer who wrote the crystal clear and unapologetic truth about how he viewed society, he was also an excellent tennis player and mathematician, and he especially excelled at geometry. He, like Max Cole, lived in a very horizontal America and he was influenced by the sharp right angles of the flat streets of his Illinois hometown. In his novel ‘The Pale King’ David Foster Wallace describes life inside a huge IRS Tax building. The building is described as being ‘battleship grey’ and the lamps on the examiners desks are annoyingly placed right there where a right-handed person would need to place his elbow to take notes. The heavily made up secretary who sits there all day with hollow eyes is described aptly as looking like ‘an embalmed clown’. The people in this building must have about the most boring and life- sapping job in the United States and there is no mention of any artwork adorning the walls. Their job is to look at tax returns and decide whether an audit is necessary, no more than that. The building they are in is designed precisely for this purpose, and they are not encouraged to think outside this box or be creative in any way. There is, then, naturally absolutely no need to make this building aesthetically pleasing. Any attempt at beauty would indeed, likely be counterproductive. Sitting back in my colourful, cluttered living room, I am spending a lot of time thinking about the Van der Rohe Haus and especially some of Max Cole’s quotes. ‘The goal is clarity’ she said. Or: ‘Art is exploring universal questions’. ‘You cannot possibly speak the truth’ she claims ‘unless you have made some attempt to understand what the truth is and without being honest you just have decoration’. Indeed, the whole exhibition program in the Van der Rohe House uses architecture as its starting point and the works exhibited therein rely on reduced and concentrated forms of expression. They must be minimal. Less is more. Many of van der Rohe’s ideas ring especially clear as a good metaphor and building block for my own life at present. I have successfully shed negative influences in my life the past year using writing as a tool in my search for the truth. Just as Van der Rohe shed superficial facades from his buildings, I have shed the superficial façade that was heavy drinking. I have also shed superficial relationships and am becoming better at being alone and not feeling lonely. I just recently put all my effort into finally getting to the core of truthful issues with a man I had had a somewhat superficial chat with online for many months. I had hoped for more from him, but he was unable to reciprocate it. I am happy with how the whole issue was resolved, however, as I cut to the core and spoke the necessary truth and he responded in kind. It has proven to be absolutely liberating for me. 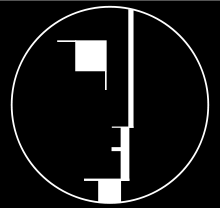 My research at the Van der Rohe Haus has affirmed my beliefs, and I will continue to search for truth, beauty and core ideas in my writing, and I intend to encompass and include the surrounding architecture, art, ideas and conversations that lead to new adventures and stories daily. It is all a magical adventure and I never know where it leads.